What happens when fourteen emerging British poets gather together -- and spin out -- their thoughts on poetry. 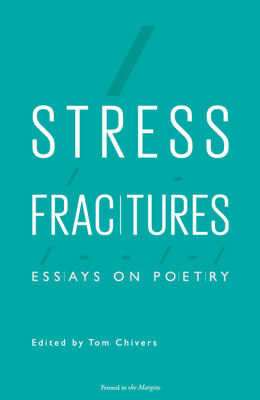 Stress Fractures: Essays on Poetry stresses just how varied and passionate we are. Edited by Tom Chivers, the book (which is a very lovely turquoise) is available as of Friday from Penned in the Margins. And it launches on 28 October at Whitechapel Art Gallery, where I'll be sharing the stage with Ross Sutherland and Theodore Chiotis and answering the question: what would Emily Dickinson tweet?